The Lumia 640 XL is running the latest available Windows Phone 8.1 out of box. The latest Lumia Denim software expansion package comes pre-installed, too. 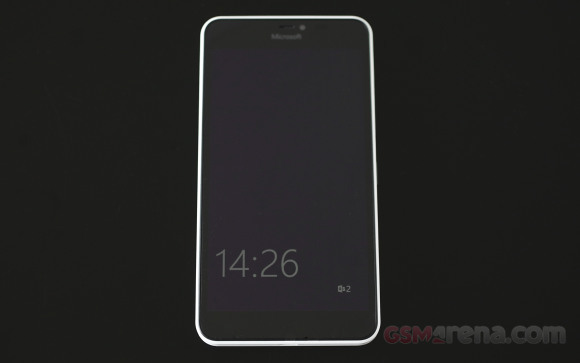 The Lumia 640 lineup was introduced together with the Windows 10, but the new OS isn't ready yet for commercial release. Microsoft promises the Lumia 640 smartphones, including the XL we are reviewing today, to be the first to get the Windows 10 firmware update though. 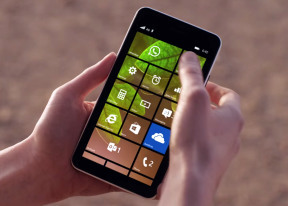 The latest release of Windows Phone 8.1 offers folder support, better organized settings menu, customizable snooze alarms, more powerful Cortana and expanded reach, among other optimizations. The iconic Glance Screen is available on the Lumia 640 XL, featuring some cool features. In addition to showing just the clock, it also supports notifications - the same ones you've configured to show on your lockscreen. The Glance Screen is basically a monochrome representation of your lockscreen. You can opt for the Glance to be always on, timing out after predefined interval, or to light up when you pick up the phone. The lockscreen itself looks the same as the Glance screen, but with colors. Double tap to wake and additional unlocking security measures are available as options. The familiar interface with resizable live tiles is your Start page, you can group tiles into folders if you like. Almost every app within the Store comes with its own tile and you can see useful info live at your homescreen. Tile background is available and while it looks great, but still, not all live tiles are transparent, which can detract from the overall effect. The Action Center is your place for four customizable toggles and all notifications in Windows. It works just like on Android OS - you access it by pulling down from the top of the screen, dismiss all notifications key is available. Microsoft likes Apple's way of handling apps running in background - most of the apps are suspended upon hitting the Windows key and will be resumed once you bring them back. There are others, of course, such as Navigation, Cortana and Battery apps, which will continue to run in background unless you specifically kill them. Quiet Hours mode is Windows Phone's Do Not Disturb feature - it can be set to block calls and messages over pre-defined time interval, plus it can also go on automatically during events you have marked in your calendar. Naturally, exceptions are available. Microsoft's Cortana is available on every Windows (8+) smartphone already. It does what Apple's Siri and Google Now do - it recognizes your voice commands and questions in natural human language and provides voice feedback. Cortana can fully interact with your phone and carry out all kind or commands related to it. Cortana can also track various news topics, makes suggestions for cooking and dinner, plan trips, find places, and even make jokes, among other things. Microsoft Lumia 640 XL is powered by the widely used but now dated Snapdragon 400 chipset. It has four Cortex-A7 processor cores clocked at 1.2GHz, Adreno 305 graphics common for most of the Windows Phone gang and 1GB RAM. The chipset is a staple in low-end Android phones - we consider it the minimum for proper smartphone user experience. Under Windows Phone it's even better, as the OS has been carefully optimized to run on that specific hardware. Still, it's not a powerhouse and you can clearly see a performance advantage in Windows Phone with better chipsets - of course, they do cost more. The AnTuTu for Windows Phone rates the Lumia 640 XL much like the rest if its Snapdragon 400 siblings - the Lumia 830 and 735. 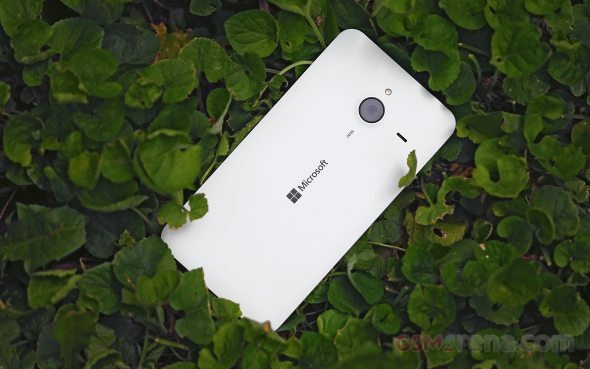 The Lumia 640 XL won't be topping any charts, but it's not meant to anyway. It was never supposed to compete at benchmarks, instead they focus on smooth, hassle-free and rich Windows experience. It's the real-world performance that matters. Indeed, the Lumia 640 XL offers a lag-free experience and didn't stutter in every day usage. Some of the more heavy apps opened with a slight delay, but that's about as slow as the phone gets. The Lumia 640 XL offers pleasing performance that would be more than enough for non-power users.